Once an evasive creature contained to their natural habitats in Williamsburg, Portland and Austin, hipster culture is now globally ubiquitous. Blame it on cultural imperialism, the undeniable twee delight of appliqué birds, or the sheer convenience of ironic facial hair, just know this: The hipster has reached these international cities, and will no doubt continue to penetrate the far-flung corners of the earth (at least until the next trend strikes). 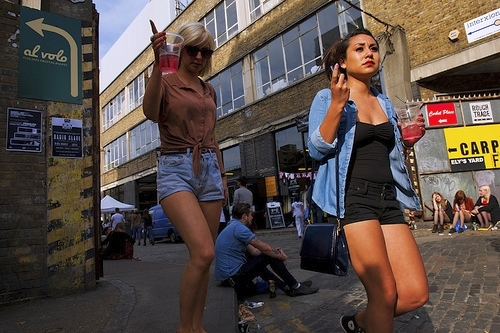 1) Shoreditch in London, U.K. This East London neighborhood is by far the most painfully hip in all of Londontown (painful because of the high prices and really, really tight jeans). The bulk of the action can be found around Old Street and Brick Lane, where lanky girls and boys alternate chain smoking with pouting. The area is peppered with intricate graffiti (or “street art” if we’re going to be pretentious), which makes it perfect for a daytime walk. But even in the daytime, make sure you don’t risk being caught without your Ray-Bans and attitude. Like any decent hotspot, the real fun happens at night at the slew of random bars, themed speakeasies and warehouse parties. The latest development in the area is Boxpark: a temporary (at least for the next five years) pop-up mall made out of shipping containers, featuring a mix of international and independent fashion designers as well as galleries and cafés. With the amount of bikes in Amsterdam, it’s no surprise that this city is hipster friendly, but the crux of action is in the north. “I feel like I’ve been exiled to hipster island,” said the indelible Anthony Bourdain upon visiting the industrial, but oh-so-cool neighborhood of Amsterdam-Noord. The area is peppered with former warehouses and shipyards that are now outfitted as tricked-out offices, art studios and even a skate park. Even Red Bull and MTV got in on the action and moved there. 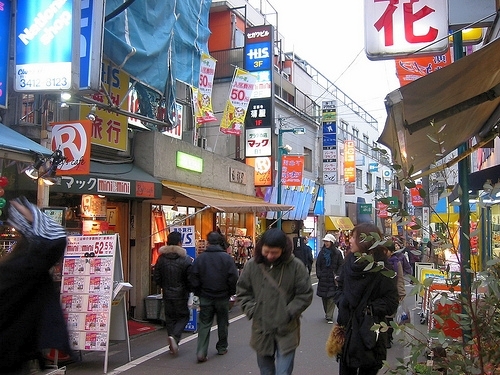 In western Tokyo you’ll find a hub of cool indie and antique shops, galleries, resto-bars and live music venues. Shimokitazawa (pronounced SHEE-mo-kee-tah-zah-wah) is actually pretty tame compared to the neon glare of the rest of Tokyo, but it’s still a nucleus for young Toykoite culture vultures. Most streets are pedestrian-only; the small storefronts, which are mainly converted residences, lend to lazy exploring and browsing in the wealth of chill record shops and second-hand clothing stores. 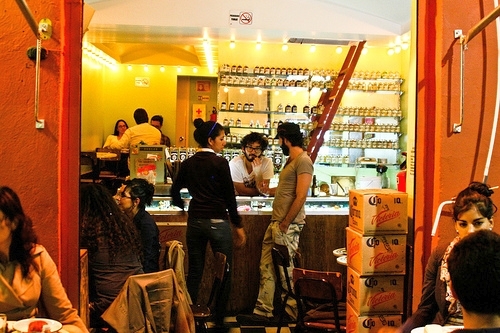 A local described La Roma (also called Colonia Roma) and neighboring La Condesa as the East Village and West Village of Mexico City, respectively. Along Alvaro Obregon, vendors assemble to sell books, antiques and collectibles, while Calle Orizaba and Calle Colima is know as an art Mecca full of galleries (such as Galería OMR). 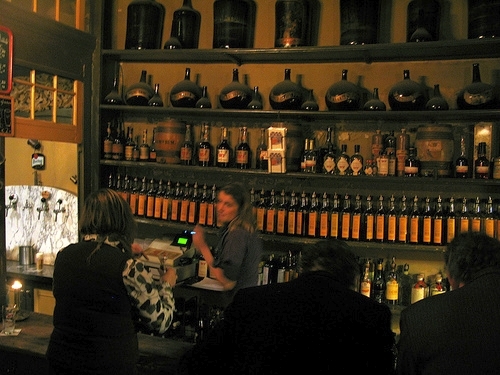 Like the other hipster locales, La Roma mixes grungy roots with a fresh high-end influx. La Roma isn’t without a grime factor. The area — though upscale— has problems with prostitutes and squatters, but hipsters don’t scare easy. First off, it almost goes without saying that Berlin is a modern-day hodgepodge of hipster culture. In fact, it may be the hipster-est city in all of Europe. Hipsters of every sub-genre congregate at Görlitzer Park for impromptu jam sessions, DJ sets and brews (though they don’t have PBR) at the park bar, Das Edelweiss. 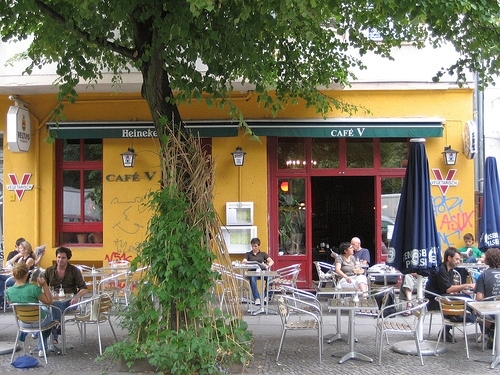 Other activities are centered upon Oranien Strasse and Skalitzer Strasse where the nightlife magic happens. 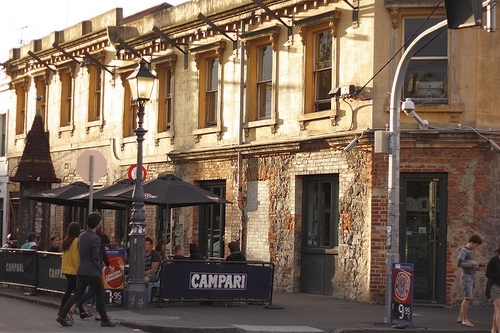 Fitzroy’s main drag is Brunswick Street, full of cheap, vegan eats and funky, retro pubs. The area is packed with the usual mix of the beautiful and the damned: broke students, fashionistas, boho artists and of course 20-something hipsters. The neighborhood is bursting with creativity as depicted by the slew of always-curious street art and graffiti, which can even be observed via an official tour. Take it all in and enjoy. If you’re not feeling Zooey Deschanel enough, the neighborhood is also home to Rose Street Artists Market hawking handmade goodies like clothes, jewelry and homewares. Nicole Trilivas is the author of the novel, Pretty Girls Make Graves: A pretty girl’s ugly story told in borrowed voices. She is currently scheming away on her next novel, and being terribly bohemian by living off of canned soup and indulging in delusions of grandeur. Snoop around NicoleTrilivas.com for more glittery gems of information.